News about our new Winter Season Preview! Hey, with the winter season underway the staff of Midnightanimeradio have come together to give you guys a season preview. We will be covering many of the new episodes of the season. That way it's easier for you guys to decided which shows to watch this season. We are so nice. Just click to the tab in the upper right corner to see it. Over the next week we will update it so keep coming back for more previews! 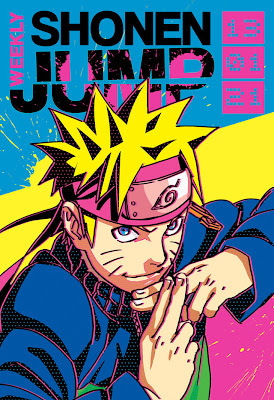 This week, Viz media officially dropped the Alpha edition of Shonen Jump and has now begun the real Shonen Jump weekly publication. The redesigned website has a new look and now has a simultaneous schedule with japan. In other words, it releases the weekly Shonen Jump at the same time as in Japan. Personally, I like the new revamped look of the digital magazine. It looks fresh and well made. The cost of a weekly subscription to Weekly Shonen Jump cost $25.99 for one year. Not only do you get the magazine, but you occasionally will receive physical goods. Also, Viz also reported that it would no longer have its “rental model” for the magazine but it would have a new download-to-own model instead. For more information head on over to Viz Media's website. Hey we are going down as a website till Januaray 2013 but, don't worry! We have new content and podcast coming so keep your eye on the webiste come the new year. Everyone here at midnight anime radio want to wish you guys a Merry Christmas! Till next year. Lawson. Simple theme. Powered by Blogger.